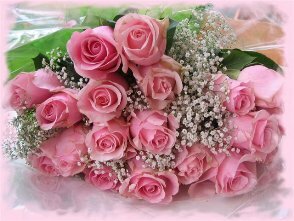 We are pleased to announce that pursuant to formal order issued by the Ministry of Education and Science of Ukraine of 12/05/2015 N 529, the Ministry of Education and Science of Ukraine, Verkhovna Rada Committee for Science and Education, National Academy of Pedagogical Sciences of Ukraine, Union of Rectors of Higher Education Institutions of Ukraine, Ukrainian Center for Education Quality Assurance and Ukrainian Standardized External Testing Initiative Alliance (USETI Alliance) invite you to participate in the 5th International Research and Methodology Conference “Educational Assessment 2015: Reforming Standardized External Assessment – Methodology, Model and Core Elements” that shall take place at Mechnykov Odesa National University, located at 24/26 Frantsuzky Blvd., Odesa, Ukraine. From June 13 to 20 the IV International Summer School "Educational Measurement: Teaching, Research, and Practice" held in Foros (Krimea). About 50 participants from Ukraine and abroad took part in School. Organized by: The Ministry of Education and Science, Youth and Sports of Ukraine, National Academy of Sciences of Ukraine, the National Pedagogical Dragomanov University (Institute of Informatics), Nizhyn State Mykola Gogol University, Kirovograd State Pedagogical University named after Volodymyr Vinnichenko, the Mälardalen University (Sweden), Helsinki University of Technology (Finland), the University of Rome “La Sapienza” (Italy), the University of Cologne (Germany). The Forum will be held within the framework of the EU Tempus Project "Educational Measurements Adapted to EU Standards". 1. Innovative Educational Technologies under European Integration of Educational Systems. 2. Innovative experience in constructing and administrating of educational tests. 3. Training and retraining of specialists in the field of educational measurements. 4. Theoretical principles of educational measurements. 5. Problems of "Educational Measurements" teaching. 6. Information technology in pedagogical testing. 7. The national system of entrance tests and monitoring the quality of education. We invite the representatives of state educational institutions, centers for monitoring of the quality of education, researchers in the field of educational measurements, university professors. During the forum the leading experts from many countries will deliver lectures, short communications, and share experiences. 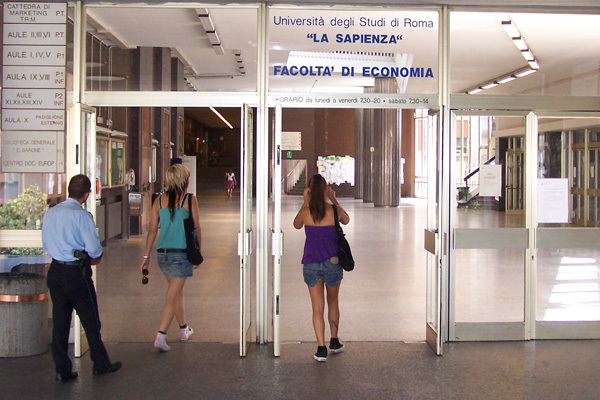 From 18 to February 25 the delegation of project performers from Ukraine visited the University of Rome "Sapienza" with planned activities. 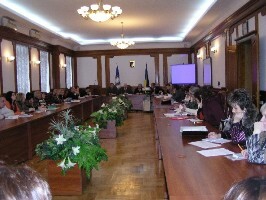 The event was attended by representatives of Ukrainian universities that are part of an international consortium to implement the project "Educational Measurement, adapted to EU standards" - the National Pedagogical Dragomanov University, Nizhyn Mykola Gogol State University, Kirovograd State Pedagogical University named after Volodymyr Vinnychenko, and Ministry of Education and Science, Youth and Sports of Ukraine. From September 8 to 15 the III International Summer School "Educational Measurement: Teaching, Research, and Practice" held in Foros (Krimea). 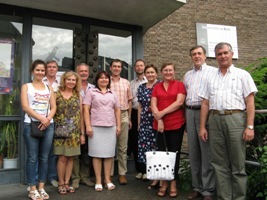 About 50 participants from Ukraine and abroad took part in School. From August 22 to 29 the planned seminar on Educational Measurement and regular Coordination Meeting of project participants held at the University of Cologne (Germany). The experts in Educational Measurement Kathrin Winter and Michael Rieß from the University of Muenster made key lectures on seminar. 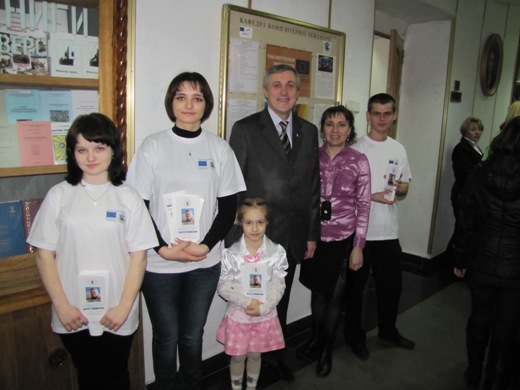 Also, reports were made by the representatives of the Ukrainian delegation: from National Pedagogical Dragomanov University - professors V. Sergienko and T. Andrushchenko; from Kirovograd State Pedagogical University named after Volodymyr Vinnychenko - prof. Olga Avramenko, docents Iryna Lupan and Ludmyla Lutchrnko; from Nizhyn State Mykola Gogol University - docents Yuriy Kovalchuk, Tetiana Lisova, Valerii Fetisov; from the University of Aalto (Finland) - prof. Esco Valkeyla; from the University of Rome La Sapienza - prof. Raimondo Manca. At the Coordination Meeting project participants summed up the previous period of the project performance and discussed goals for the next period. International Summer School “Educational Measurements: Education, Science and Practice” will be held in Foros (Crimea, Ukraine) on 8 -15 October 2011 (8 October is the day of arrival). It will be organized in the frame of the EU Project 145029-TEMPUS-2008-SE-JPCR (http://fm.ndu.edu.ua/) by Ministry of Education and Science of Ukraine, Nizhyn State Mykola Gogol University, National Pedagogical Dragomanov University, Kirovograd State Pedagogical University named after Volodymyr Vinnichenko, Mälardalen University (Sweden), Helsinki University of Technology (Finland), University of Rome “La Sapienza” (Italy), University of Cologne (Germany) and USETI. 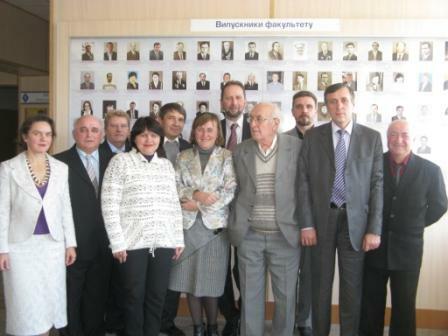 On May 11-14 2011 Kirovograd State Pedagogical University named after Volodymyr Vynnychenko the Workshop "Training of Young Teachers and PhD Students in Educational Measurement" was held. May 17, 2011 chaired by the coordinator of the project "Educational Measurement Adapted to EU standards" from the National Pedagogical Dragomanov University Sergienko V.P. a scientific-methodical seminar "Computer diagnosis of student knowledge" for university teachers was held. From April 14 to 16 the Third International Scientific and Methodical Conference "Educational Assessment - 2011: EIT model, evaluation, interpretation, using the results of EIT" worked in Vorzel near Kyiv. The "Educational Measurement, adapted to EU standards" Tempus project as a collaborative member of USETI Alliance took part in the organization and working of this large-scale conference, and Professor V. Sergienko (National Pedagogical Dragomanov University) entered its Organizing Committee. Professor V. Sergienko made presentation of our project at the plenary session. 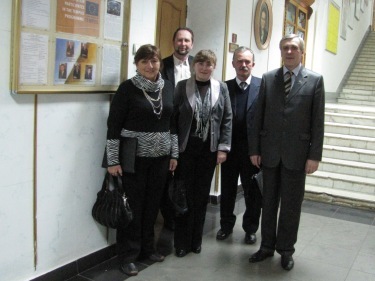 Docent Kovalchuk (Nizhyn Mykola Gogol State University), professor Z. Filer and docent L. Izyumchenko (Kirovograd State Pedagogical University named after Volodymyr Vinnychenko) made reports on sections sessions. Performers of project "Educational mesurements adapted to EU standarts" from National Pedagogical Dragomaniv University took part in organizing and holding of International scientific-practical conference «Methodological foundations of higher education quality management in universities». 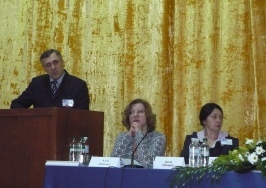 Conference was held on 25 March, 2011 in National Pedagogical Dragomanov University. The representatives of higher educational establishments of Ukraine from the Consortium of performers of the Project «Educational Measurements Adapted to EU Standart» congratulate project participant - 3-rd year student of Institute of Infirmatics National Pedagogical Dragomanov University on II place in All-Ukrainian students scientific works contest in field of pedagogical sciences, section - actual problems of mathematical education: theory and practice Ivaschenko Anastaciya with paper "Using the modern test theory (IRT) in an adaptive testing". Scientific advisor depty of first university prorector, head of the Computer Engeneering department National Pedagogical Dragomanov University, professor Sergienko V.P. 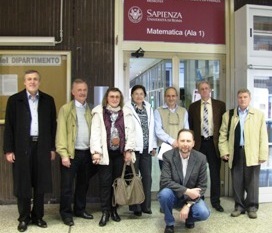 From Fabruary 17 to 22 the Workshop on Edicational Measurement and succeeding Coordinating Meeting held at university of Roma La Sapienza, wich is the member of consortium of Project Educational Measurement, adapted to EU Standards performers. 11 representatives of Ukrainian universities, as well as EU universities representatives Raimondo Manca (Rome), Esko Vaikeila (Helsinki), Hanspeter Shmidli (Cologne), Dmitrii Silvestrov (Stockholm) took part in those events. Aristide Saggino (Università di Chieti-Pescara), and Francesco Agrusti (Unversità di Roma 3), well known Italian experts in Psychometry and Educational Measurement, also participated in the workshop. As a result of activities associated with implementation of Tempus progect Educational Measurement, adapted to EU standards, in Nizhyn University department responsible for the project, now entitled Department of Applied Mathematics, Informatics and Educational Measurement. In Kirovograd Pedagogic University a scientific conference on the 80-th anniversary of Physics and Mathematics faculty took plase. At the plenary session Dr. 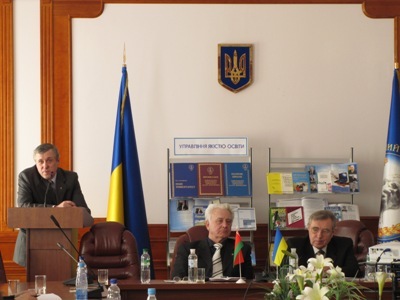 Sci., Professor O.Avramenko reported on "Specialty "Educational Measurement" - a new specialty of Physical and Mathematical Faculty", which were outlined the main results and prospects of the Project "Educational Measurement, adapted to EU standards" in Kirovohrad University. During the conference the section of "Educational Measurement took place. On TV Channel "Kirovograd" the programme "From the first hands" had goes on the air. It was devoted to the project "Educational Measurement, adapted to EU standards", which was attended by Dr.Sci., Professor O.V.Avramenko, a candidate of pedagogical sciences, professor Rizhnyak R.Ya., a senior lecturer Kotyak V.V. Representatives of Tempus Project "Educational Measurement, adapted to EU standards" V. Sergienko and Y. Kovalchuk participated in the Second Meeting of the Useti Legacy Alliance, wich held in Kiev on October 15. For more information about this event please visit the website of USETI Alliance. In Kirovohrad Pedagogical University in Physics and Mathematics Faculty a retreat session of the workshop on educational measurement held in the service which was attended by representatives of higher educational institutions of Ukraine of the Consortium of performers of "Educational Measurement, adapted to EU standards": Doctor of Education, Professor V.P.Sergienko (National Pedagogical university); candidate. Sci., associate professor Yu.O. 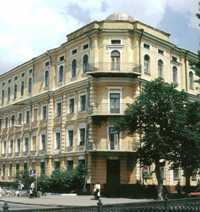 Kovalchuk (Nizhin University), Dr. Sci., Professor O.V. Avramenko, candidate of pedagogical sciences, professor Rizhnyak RY, Candidate Sci., associate professor S.D.Parashchuk, candidate of pedagogical sciences, associate professor I.V.Lupan (Kirovohrad Pedagogical University). The seminar was attended doctor of pedagogical sciences, professor S.A. Rakov - Advisor on Scientific Affairs Director of Ukrainian Center for Educational Quality Assessment. From 19 to 25 September in Foros (Crimea) worked 2nd International Summer School "Educational Measurement: Teaching, Research, Practice." 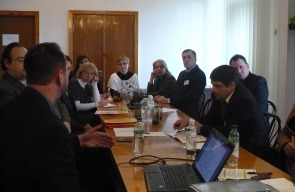 The conference was attended by about 50 representatives of universities - members of the Project consortium, Academy of Education Sciences, universities of Ukraine, national and regional centers for evaluating the quality of education, retraining institute teachers. International Summer School “Educational Measurements: Education, Science and Practice” will be held in Foros (Crimea, Ukraine) on 18 -25 September 2010 (18 September is the day of arrival). It will be organized in the frame of the EU Tempus Project "Educational Measurements, Adapted to EU Standards" (http://fm.ndu.edu.ua/) by Ministry of Education and Science of Ukraine, Nizhyn State Mykola Gogol University, National Pedagogical Dragomanov University, Kirovograd State Pedagogical University named after Volodymyr Vinnichenko, Mälardalen University http://www.mdh.se/ima/ (Sweden), Helsinki University of Technology (Finland), University of Rome “La Sapienza” (Italy), University of Cologne (Germany). Examinations began - the time of students knowledge test and, also, the time of summing up for executants of the Project. Third-year students pass examinations in the specialization of "Educational Measurements". They have three new courses “Introduction to Pedagogical Measurement and Quality Monitoring in Education”, “Basics of Pedagogical Assessment and Evaluation”, “Mathematical and Statistical Methods in Educational Measurements”. At the 20-th of May Iryna Lupan made a report "TEMPUS-project "Educational Measurement adapted to EU standards" at the regional conference "Innovative teacher education in an information society" which took place at the Alexandria Teachers College named after V.A. Sukhomlinskij (Kirovograd oblast). This Project has the support and approval from the administration in the Kirovograd State Pedagogical University named after V.Vinnychenko. Just the Rector of KDPU Professor Gregory Klochek offered to tell about the Project in Alexandria. From 23 to 27 April 2010 in Helsinki University of Technology, which this year went to the University Aalto, held coordination meetings and workshops of performers of "Educational Measurement, adapted to EU standards". Ukrainian project participants were presented with three lecturer from Nizhyn University, three - from the National Pedagogical University, and two lecturer from Kirovohrad Pedagogical University. Program of Ukrainian delegation started with content tour of the Aalto university, during which participants learned many interesting things about the history of the university, magnificent architecture of its buildings, features of the students training in the Finnish universities, which for quality, according to international monitoring study PISA, is one of the best in world. On April 24 held Coordination meetings attended by representatives of all seven universities of the Consortium. Universities of EU presented the project coordinator Dmitrii Silvestrov (Mälardalen University), Esko Valkeila (Aalto University), Hanspeter Schmidli (University of Cologne) and Raymondo Manca (University of Rome La Sapienza). In the following days Seminar took place at the Aalto University, wich the program is available here. The performers of project "Educational Measurement, adapted to EU standards", at the invitation of The Ukrainian Standardized External Testing Initiative (USETI), participated in the Roundtable “The Path to Improving the Admission System to Establishments of Higher Education”, wich held in Kiev on April 20, 2010. Project performers participate open day in the Institute of Informatics National Pedagogical Dragomanov University on 27 March, 2010. Teachers and students participants of the project "Educational mesurement adapted to EU standarts" conduct talk and other actions about speciality "Informatics" with additional specialization "Educational mesurements" on 2010/2011 educational year. Performers of project "Educational mesurements adapted to EU standarts" from National Pedagogical Dragomaniv University took part in International scientific-practical conference «Methodological foundations of higher education quality management in universities». 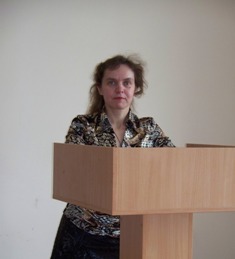 Conference was held on 26 March, 2010 in National Pedagogical Dragomanov University. Project coordinator from National Pedagogical Dragomanov University doctor of pedagogical science, professor, deputy director of the Institute of Informatics, head of the Computer Engineering department Sergienko V.P. made plenary speech "Educational mesurement in information-oriented society". In Kirovograd Pedagogical University training on the specialization "Educational measurements" is carrying out in obedience to a curriculum, the syllabus of all disciplines, which are included in the program of studies of bachelor, are ratified: “Introduction to Pedagogical Measurement and Quality Monitoring in Education”; “Basics of Pedagogical Assessment and Evaluation”; “Mathematical and Statistical Methods in Educational Measurements”; "Computer technologies in testing"; "Statistical Software”; “Sampling Observation in Psychology and Pedagogy”. The representatives of higher educational establishments of Ukraine from the Consortium of performers of the Project «Educational Measurements Adapted to EU Standart» congratulate project participant - 2-nd year student of Institute of Infirmatics National Pedagogical Dragomanov University on winning (I place) in All-Ukrainian students scientific works contest in field of pedagogical sciences, section - actual problems of mathematical education: theory and practice Ivaschenko Anastaciya with paper "Scientific fundamentals of test construction for informatics". Scientific advisor depty director of the Institute of Informatics, head of the Computer Engeneering department, professor Sergienko V.P. The visiting meeting of the Seminar of Educational Measurements took place in National Pedagogical Dragomanov University on the department of information tecnology. The representatives of higher educational establishments of Ukraine from the Consortium of performers of the Project «Educational Measurements Adapted to EU Standart» participated in the meeting. The visiting meeting of the Seminar of Educational Measurements took place in the Kirovohrad Pedagogical University on the physico-mathematical faculty. The representatives of higher educational establishments of Ukraine from the Consortium of performers of the Project «Educational Measurements Adapted to EU Standart» participated in the meeting. Project performers «Educational Mesurements Adapted to EU Standart» from National Pedagogical Dragomanov University acts as co-organizer and participant of All-Ukrainian Tempus Project Information Day in Ukraine. 20 january 2010, 09.30 - 16.30, National Tempus-office in Ukraine, National Pedagogical Dragomanov University under the aegis of Ministry of education and science of Ukraine, Academy of pedagogical science of Ukraine conduct seminar «All-Ukrainian Tempus Project Information Day in Ukraine». On the eve of New Year and celebration of 175th anniversary of the National Pedagogical Dragomanov Univesity in the frame of the EU Tempus-IV Project «Educational Measurement adapted to EU standards» was equipped computer class of Institute of Information technology. In the first half year 2009 also was equipped the new "Computer Engineering" department of Institute of Information technology. At Physics and Mathematics Faculty of Kirovohrad State Pedagogical University named after Vladimir Vinnichenko held a retreat session of the seminaron educational measurement on "Experiences and perspectives of training bases of educational assessment for future professional and educational measurement". From the 3 to 10 October, 2009 in Foros (Crimea) held the First International School "Educational Measurements: Teaching, Research, Practice", organized by a Consortium of performers of Project "Educational Measurement adapted to EU standards", with the assistance and participation of USETI. 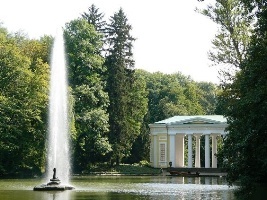 International Summer School “Educational Measurements: Teaching, Research and Practice” will be held in Foros (Crimea, Ukraine) on 3 -10 October 2009 (3 October is the arrival day). It will be organized in the frame of the EU Project “Educational Measurements Adapted to EU Standards” by Ministry of Education and Science of Ukraine, Nizhyn State Mykola Gogol University, National Pedagogical Dragomanov University, Kirovograd State Pedagogical University named after Volodymyr Vinnichenko, Mälardalen University http://www.mdh.se/ima/ (Sweden), Helsinki University of Technology (Finland), University of Rome “La Sapienza” (Italy), and University of Cologne (Germany). The delivery of new equipment has been effected to Kirovograd State Pedagogical University. As previously announced, from 22 to 26 May in Västerås were two important events: the Coordination Meeting of the Project and the Workshop on Educational Measurement and related issues. Ukraine in the event was attended by three representatives from each university - the Project participants. Meeting of Ministry of Education and Science Workgroup, which is responsible for development standards for BA and MA programs in Educational Measuremen, was held in Kyiv on May 13. Two-days Meeting for representatives of Tempus Joint Projects and Structural Measures Projects took place on 19 and 20 March 2009 at the MCE – Management Centre Europe, Brussels.